With the Christmas bell ringing, decorations are up in the shopping malls, and various Christmas collections from major brands have been launched. 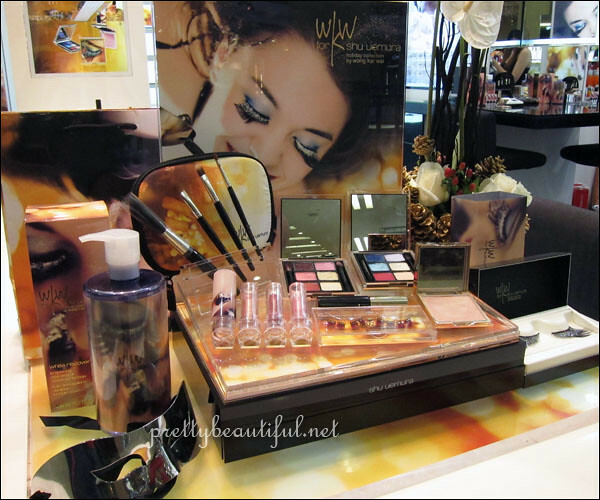 This year, Shu Uemura has collaborated with a famous movie director in Hong Kong, Wong Kar Wai (WKW) for the holiday collection. For the Chinese, Wong Kar Wai is not an unknown name. In fact, he is famous for his artistic movies, I am not very familiar with the directors but I remember a movie (Happy Together) by him, with Leslie Cheung and Tony Leung. It was a very controversial movie as it was a story about a homosexual couple. Anyway, that’s my impression with WKW – dare to be different. With this WKW Holiday Collection, it is unusual from the cutesy packaging as it is leaning towards the art side with the cinematic effects on the packaging. 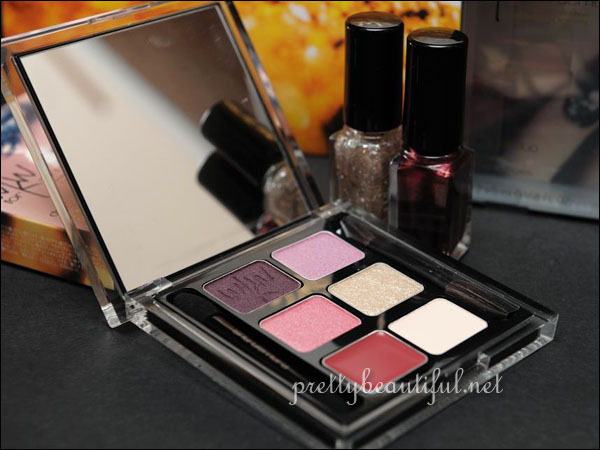 In the collection, there are 2 eye & cheek palettes (Burning in water, Drowing in flame), 3 lip colors, a brush set, 2 pairs of false lashes, glow powder and 2 sets of polishes. 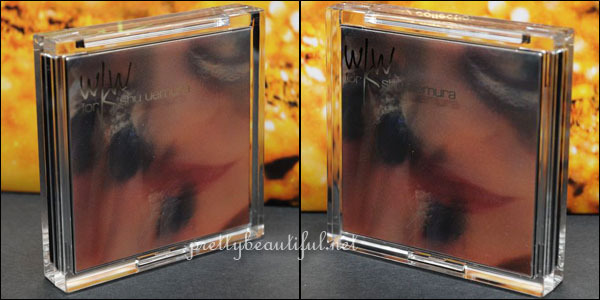 All the product packaging is in hologram and you are able to see the moving images when you hold the product. However, I failed to capture the special effects on my camera. We had the opportunity to have a live demonstration on how to work on the palettes – 2 looks created by different palettes. The colors on the pan didn’t impress me much at the first glance, but they actually look better on the skin than on the pan. The red in the pan is actually a blusher, it’s definitely the case of less is the better as it’s very pigmented. 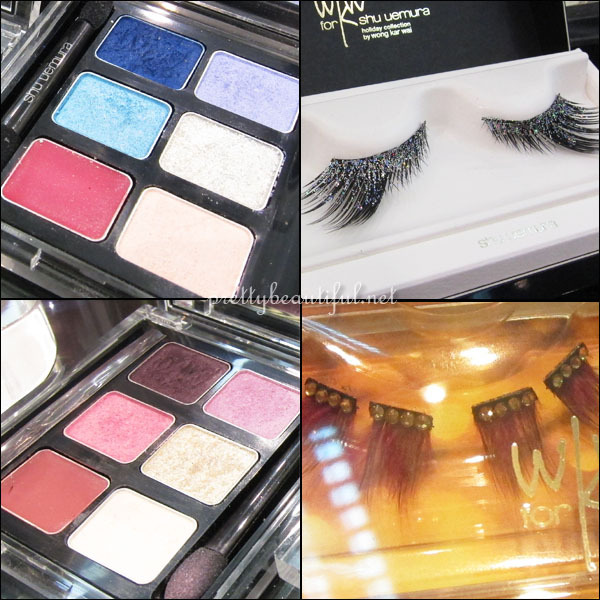 Burning in water has brighter colors for the bolder look, especially when paired with the outrages lashes. On the other hand, Drowning in flame is a softer palette for the demure look. The very experienced Shu Uemura makeup guru – Lisa and the models. My makeover with Burning in water and Rouge Luster on my lip. The lip color is alright but if on its own, a little too drying for smooth application. 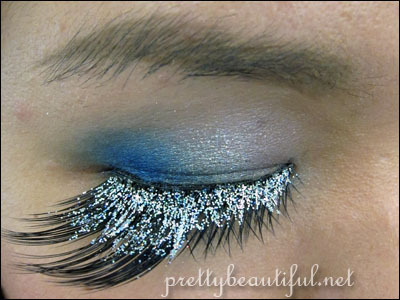 A close-up look of the false lash – dance in glitter. Definitely only for party-use, and if you were to trim it, advice is start trimming from the front. I think WKW Holiday Collection will make a nice set of gifts with the glamorous packaging and colors. Texture and the price are alright and not overly expensive. To win a custom-made couture evening gown worth RM3000 by Jonathan Cheng, check Shu Uemura Malaysia’s Facebook for more details! There are currently some promo going on, eg RM10 voucher with every RM100 spent; 6-pc free gifts with RM350 spent. i didn’t walk out the store with the lash! it wasn’t the right size for my eye so i had problem opening my eyes fully 🙁 bummer for small eyes! xin recently posted..Opening of Lifestyle Clinic and The Skin Boutique – Free 10 Facials for Giveaway! 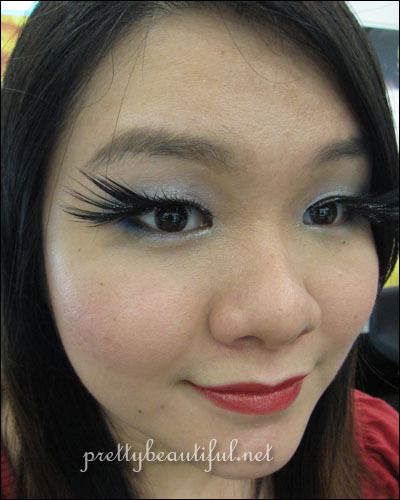 WHOOOOOO…love the lashes! I wouldn’t mind getting the brush sets but lately the Shu brush sets (not individual ones – I still like those) have been craptastic. I thought the texture of the lipsticks were quite alright though, but when rubbing it a little it does a little gritty. Love the makeover! the lashes are so beautiful and dramatic! Previous post: Opening of Lifestyle Clinic and The Skin Boutique – Free 10 Facials for Giveaway! GETLUXE with Shopbop – Up to 25% OFF at Designer Boutique!